Astina joined Chambers in 2016 following completion of her pupillage with Mr. Clive Grossman SC, Mr. Horace Wong SC, Mr. Bernard Man SC, Mr. Andrew Mak and Ms. Eva Sit. Astina is a Bar Scholar and accepts instructions in all areas of Chambers’ work. She has a broad civil practice, particularly in commercial and company matters, and has also handled cases relating to defamation, land, probate, trust, family and public law. Astina received her B.B.A. (Law) and LL.B. from the University of Hong Kong and her LL.M. from Harvard Law School. During her studies she was awarded 10 advocacy prizes from international and local mooting competitions, including the Champion title and Overall Best Oralist award at the North American Regional Grand Final of the 13th ELSA WTO Moot Court Competition and the Champion title at the UK ESU-Essex Court Chambers National Mooting Competition. Astina has appeared as an advocate (either in her own right or as a led junior) in the Court of Appeal, Court of First Instance and the District Court. She also has experience in cross-border arbitrations. Re China Shanshui Investment, HCMP 738/2018: Acted for the Company in an application for, inter alia, an order that an urgent EGM be convened and an interim injunction to restrain the existing board from acting. Xu Liu Chun v Wu Chang Jiang & Another, HCMP 3166/2014 (CFI) (with Paul Wu and Martin Wong): Opposing an unfair prejudice petition brought under s.724 of the Companies Ordinance (Cap. 622). Shih-Hua Investment Co Ltd v Zhang Aidong and Others, HCMP 2735/2016 (CFI) (with Martin Wong): Opposing an application for inspection order brought under ss.373-375, 740 of Companies Ordinance (Cap. 622). Re: Everglory Energy Limited, HCCW 198/ 2016 (CFI) (with Martin Wong): Application for interim stay of execution pending appeal. Acted for a liquidator in an application for a permanent stay of a members’ voluntary liquidation pursuant to s.255(1) of the Companies (Winding Up and Miscellaneous Provisions) Ordinance (Cap. 32). Chow How Yeen Margaret & Ors v Wex Pharmaceuticals Inc & Anor, CACV 33/2017 (CA) (with Leo Remedios): Resisting an appeal in an action for damages for fraudulent misrepresentations. NTT Data Hong Kong Ltd v Octo3 Ltd and Anor, CACV 58 & 59/2018 (CA), HCA 3446/2016 and HCA 44/2017 (with Leo Remedios): Summary judgment application on breach of non-solicitation clause. Shih-Hua Investment Co Ltd v Zhang Aidong and Others, HCA 2682/2016 (CFI) (led by Victor Joffe QC and with Justin Ho): Application to strike out statement of claim and discharge Mareva and proprietary injunction orders on the grounds of abuse of process and material non-disclosure in an action concerning breach of fiduciary duties. 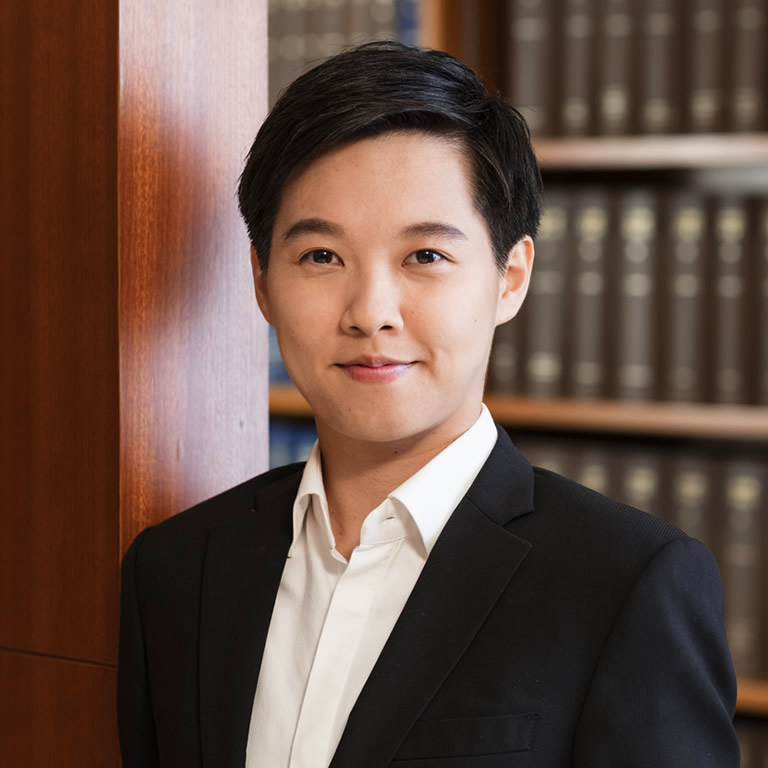 Poben Consultants Ltd and Others v The Clearwater Bay Golf & Country Club, HCMP 2332/2016 (CFI) (led by Horace Wong SC): Application to expunge inadmissible evidence on the ground of without prejudice privilege. Herbert Smith Freehills v Chris Au & Another, HCA 3030/2015 (CFI): Application for discharge of post-judgment worldwide Mareva injunction. South American International Bank Curaccao N.V. v Ying Xin Trading Co Ltd & Another, HCA 3012/2016 (CFI): Application for Mareva injunction order and banker’s trust order in an action concerning email fraud. Acted for a judicial review applicant in an appeal against the Director of Legal Aid’s refusal of legal aid in a matter concerning the legality of a mass assembly organised by police officers.